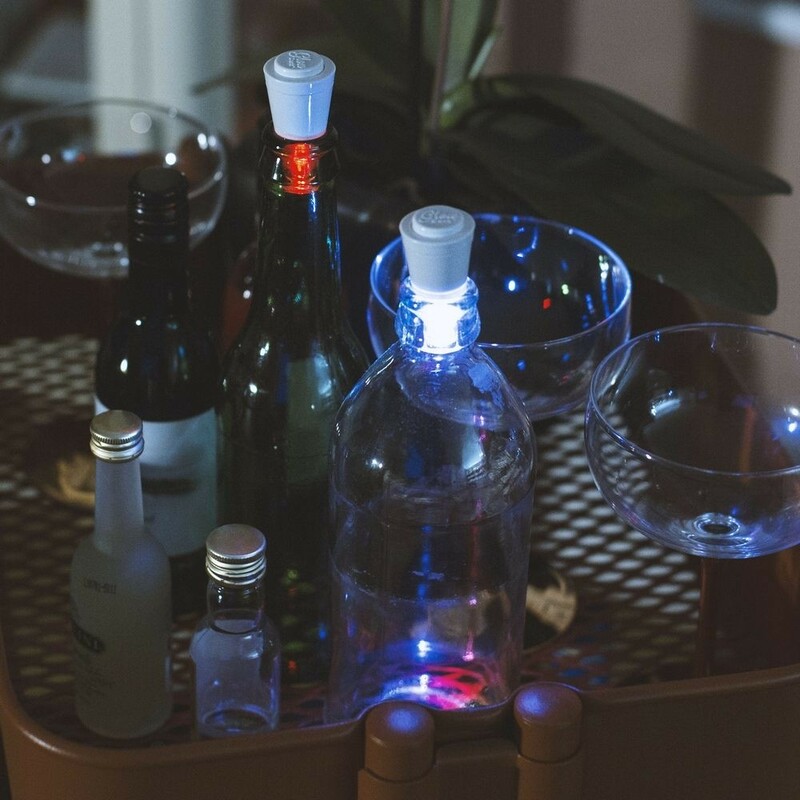 Instantly transform your empty bottle of plonk into an artful, illuminated centrepiece. 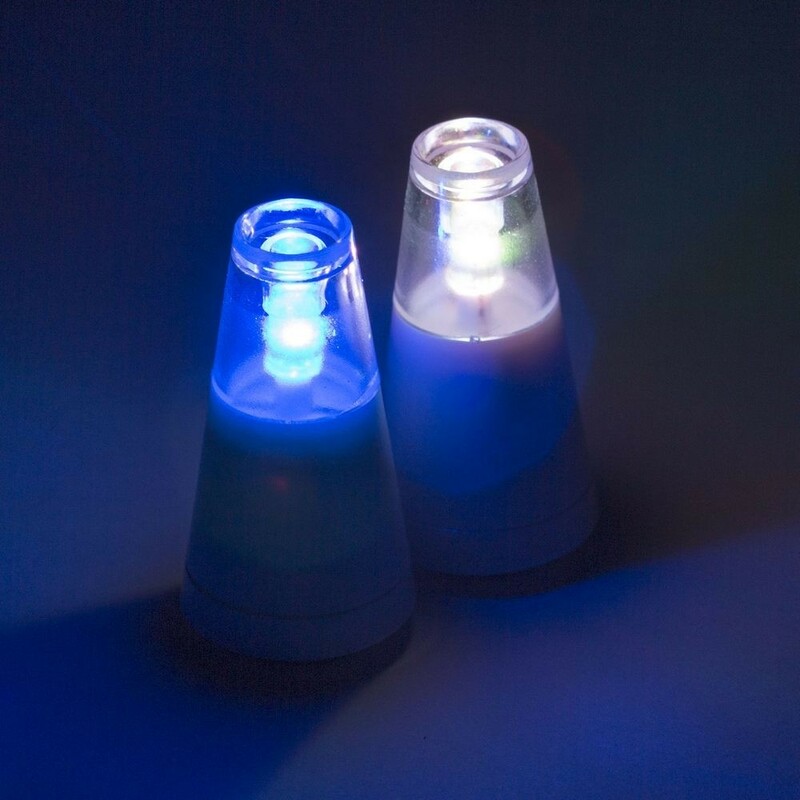 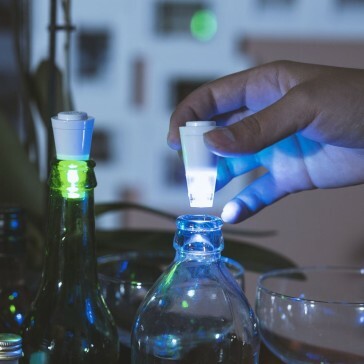 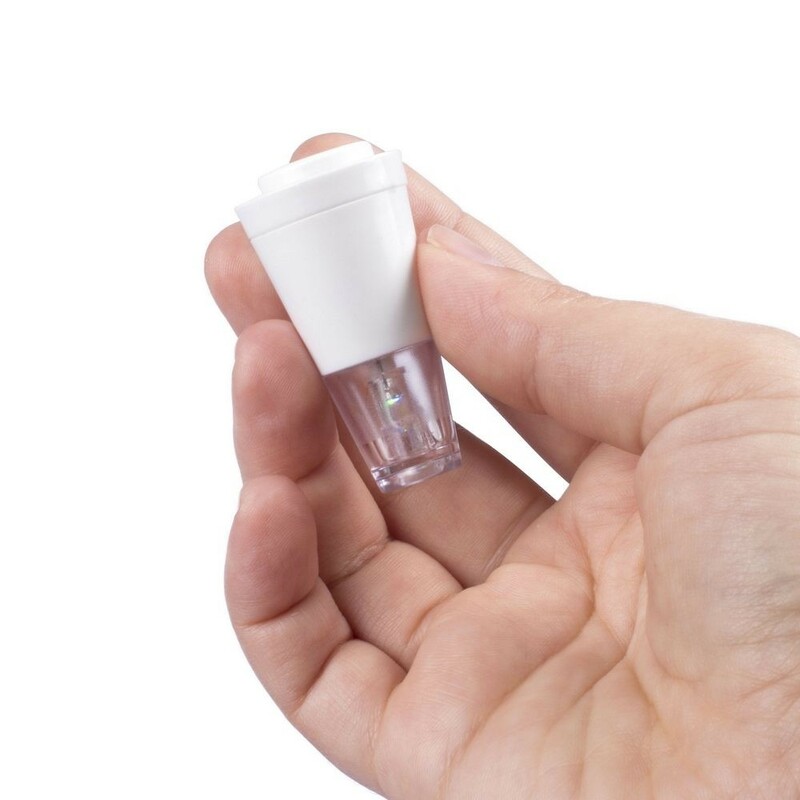 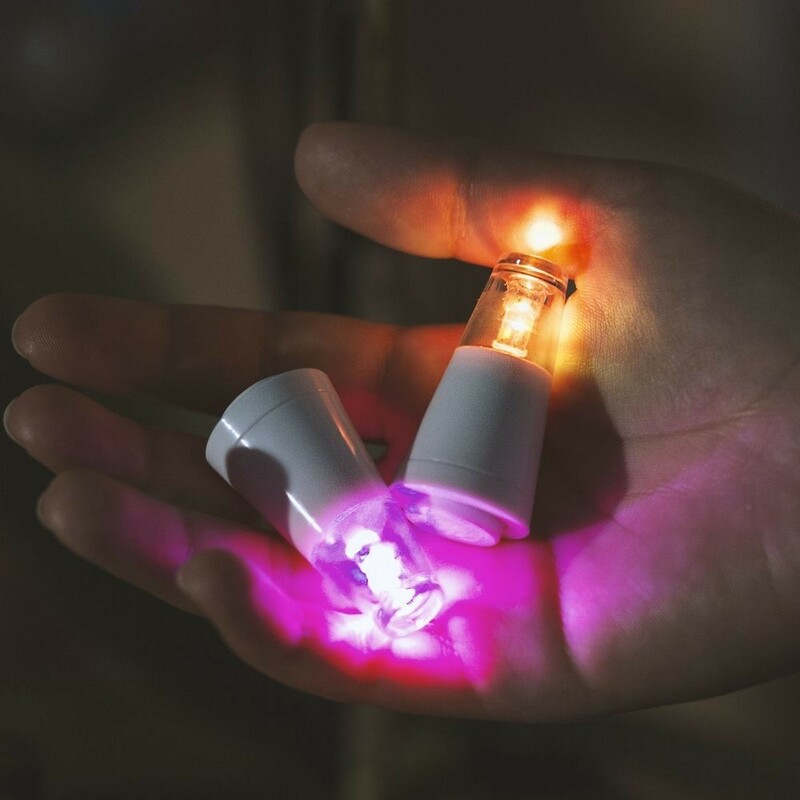 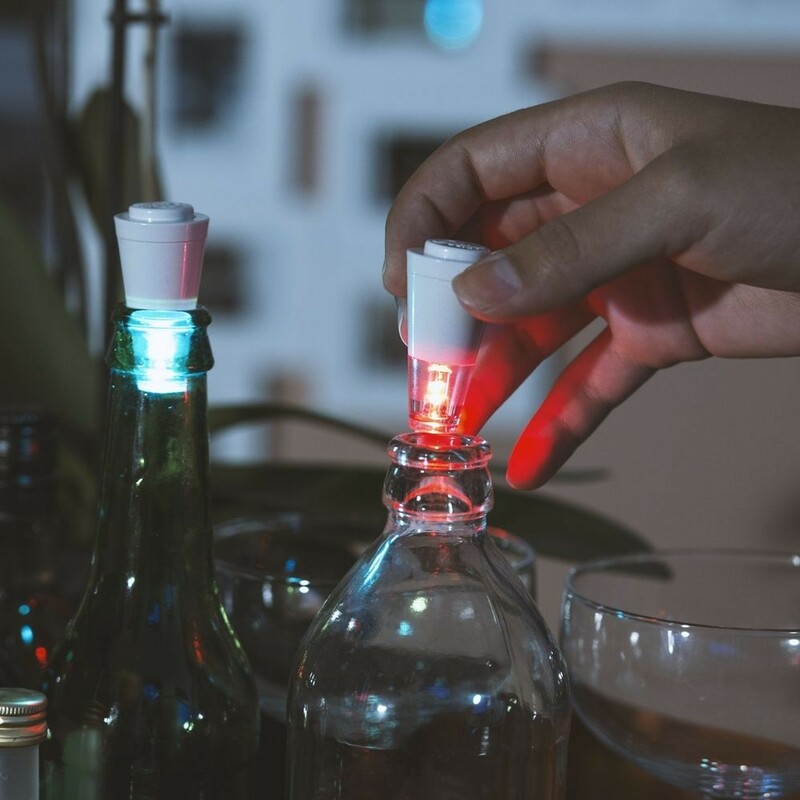 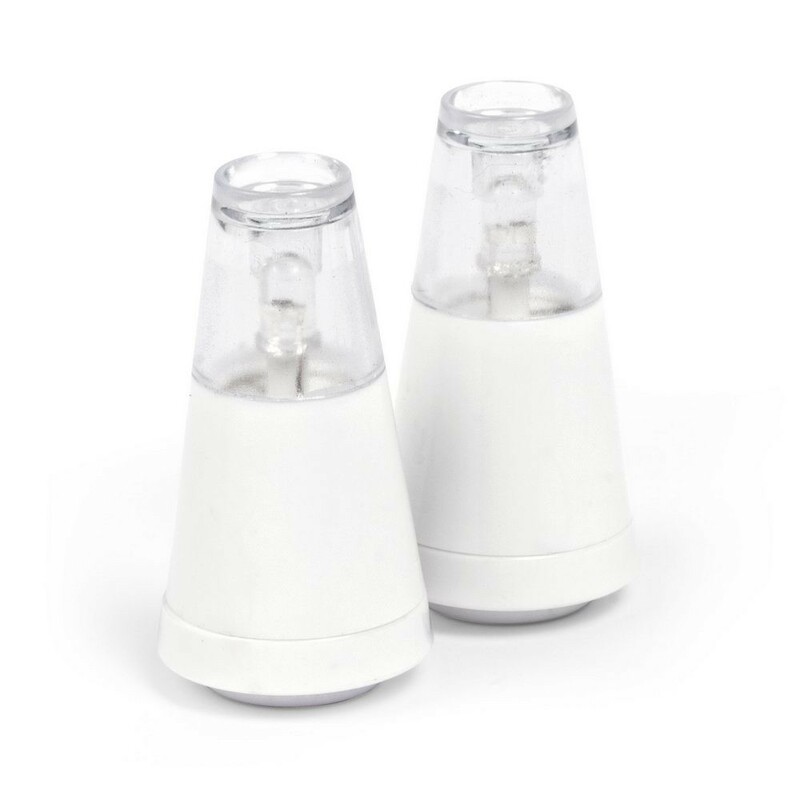 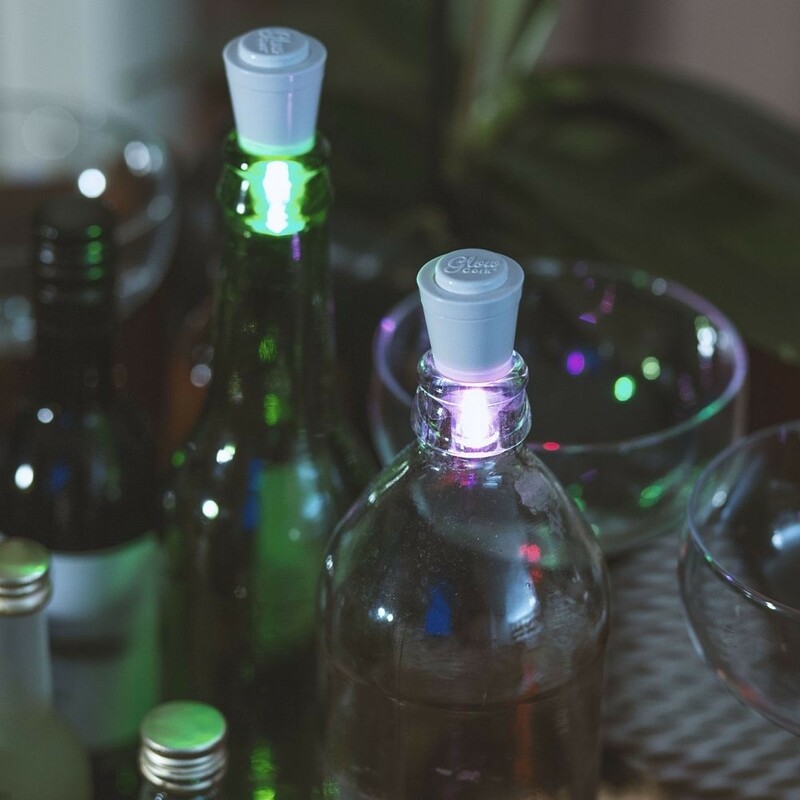 This set of 2 light-up corks are designed to sit inside your empty bottle's neck (one cork per bottle) and set the glass bottle glowing in a soft light. 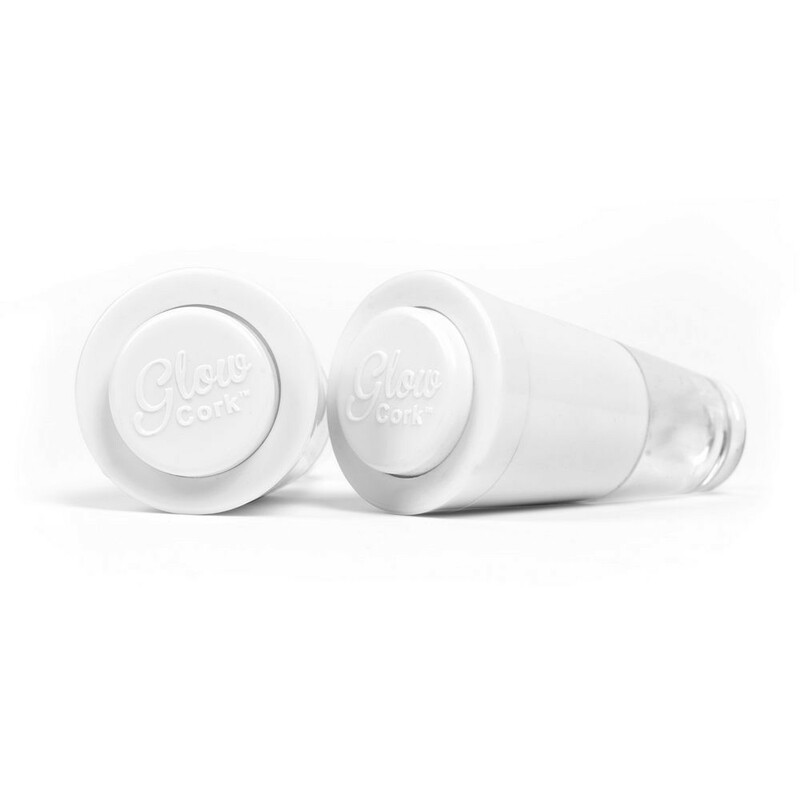 This is suitable, and looks equally beautiful, both indoors and out.